Headband is a personal favorite of mine. 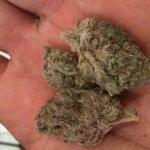 While technically being an Indica-dominant hybrid in genetics, (O.G. 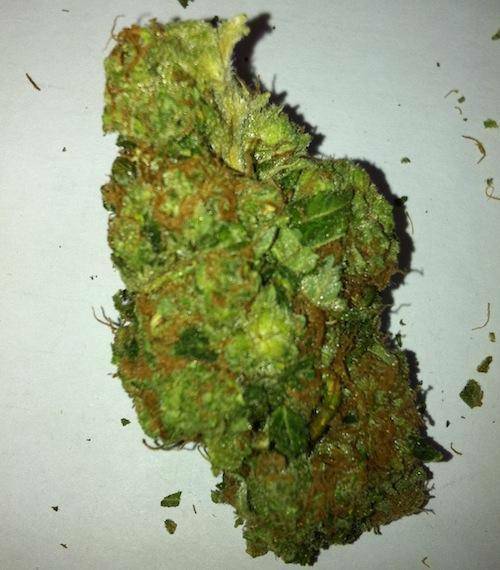 Kush X Master Kush X Sour D.) its basic core chemical structure allows for a very mellow feeling Sativa undertone. The effects are a fairly heavy-hitting full-body euphoria stemming from its Diesel heritage, and its O.G. Kush side allows for a quick free-feeling ride with a smooth come down. The smoke is very smooth, and allows for people with asthma to consume with confidence if a vaporizer is not readily available. While being one of the most popular strains in Los Angeles, this West Valley 707 variety includes a little bit more Sativa dominance in the genetics and thus creates a euphoria type medication rather than a heavy confusing stone. Headband is one of the top strain varieties for those with problems stemming from mild to medium level anxiety, light stress, light chronic pain such as headaches and general muscle tension, and those whom need a creative boost without the mental blocking comedown. This hybrid can also in some variants be used as an effective appetite stimulant for those with mild nausea. This strain is hydroponically bred (does not produce well in outdoor environments) and is generally widely available ranging from $30-$50 donations per eighth across California.